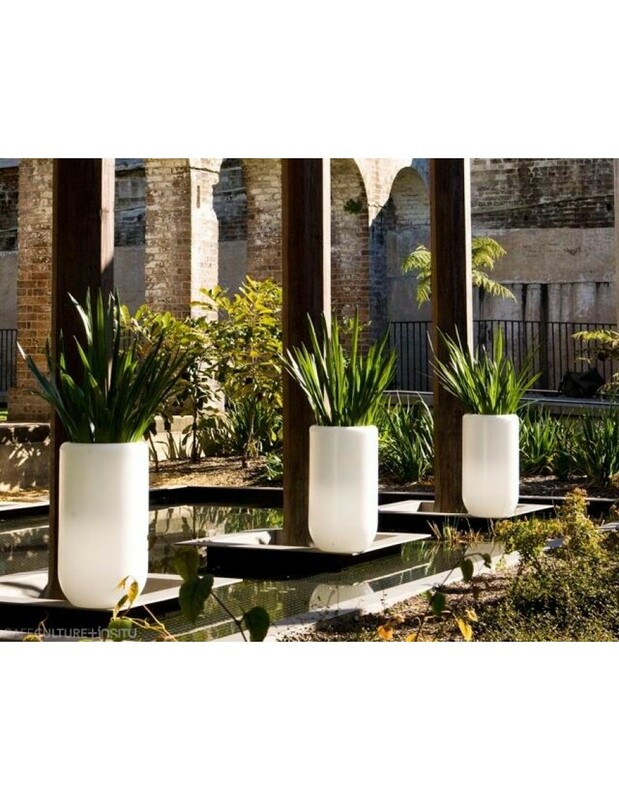 Bloom Flowerpot by Rob Slewe -Serralunga have been producing stylish planters in contemporary shapes since 1825. Designed for the new terrace of the Parnassia beach pavilion in the Dutch seaside resort of Bloemendaal. BLOOM! 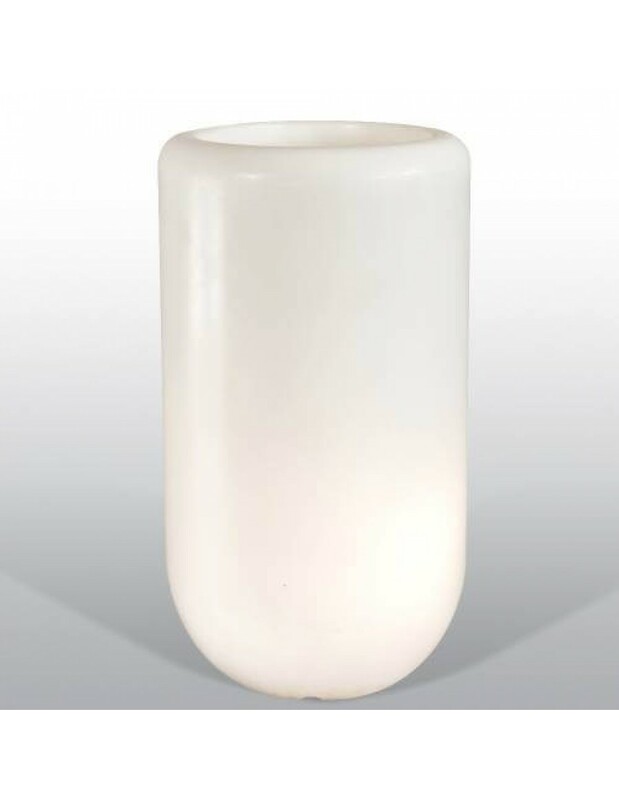 is characterized by its simple but classy design and versatility: a flowerpot doubling as light! 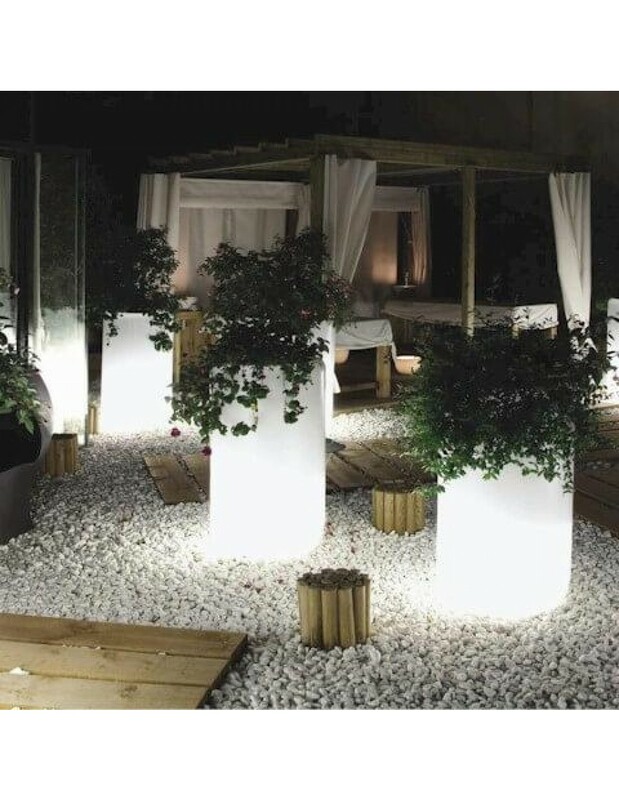 Its cleverly designed dimensions make BLOOM suitable not only for flowers and plants indoors as well as outdoors, but also for use at (garden) parties. 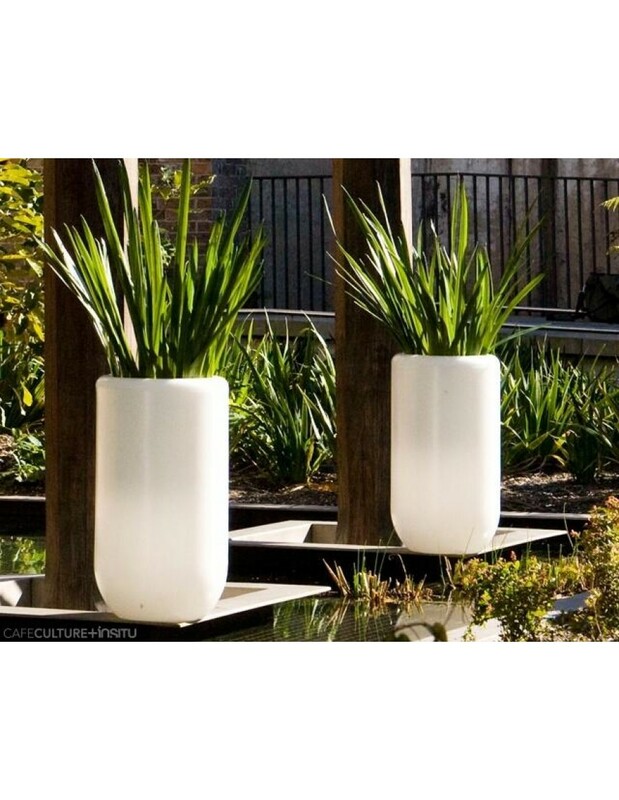 The double-walled, waterproof flowerpot is made of high-grade plastic. Inside the pot are two 11 watt energy-saving light bulbs that can be connected to both outdoor and indoor lighting systems. It has 4 meters of cable. Rotation-moulded LLDPE (linear low-density polyethylene). 11 watt energy-saving light bulbs that can be connected to both outdoor and indoor lighting systems. Ni mnenj za "Bloom pill"